Stefan Henningsson acts as Senior Advisor Climate, Energy & Innovation at WWF in Sweden. In this role, he maps climate innovation activity levels in key countries as input to strategic national dialogue between policymakers, investors and business. The focus is to enable faster growth of disruptive cleantech entrepreneurs with solutions taking us faster towards a circular, 100% renewable energy economy with energy access for all. Stefan leads the annual honouring of outstanding, early-stage commercialised innovations in energy/resource efficiency, digitalisation, renewable energy, climate change mitigation technologies and energy access in China, India, South Africa and the Nordic countries since 2008. Innovations are evaluated on their potential climate change mitigation and/or clean energy access in poor communities potential over the coming ten years. Stefan has overseen and directed approximately 200 such innovation impact evaluations using the climatesolvertool.org. This work engages 30 partner organisations in the innovation ecosystem, 70 distinguished jury members and is communicated through the Climate Solver portal – www.climatesolver.org. Emerging work is also directed towards building a first global cleantech innovation ecosystem of professional accelerators in the climate/energy innovation space in order to improve acceleration performance, connect dots and cleantech deal flow opportunities globally. 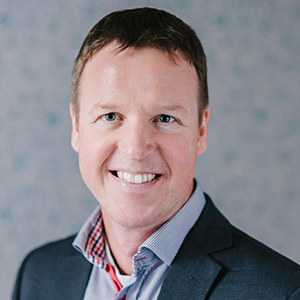 Stefan also acts as Focal Point for all climate & energy-related work on corporate, national/international policy, investor and city engagement for WWF in Sweden and is part of the Leadership Team for WWF Global Climate & Energy Practice (CEP). Global Cleantech Innovation Index maps the strengths and weaknesses in cleantech innovation in 40 countries, incl all G20 countries. Weaknesses that key countries must address in order to further develop their economies whilst contributing more to sustainable development. Stefan has overseen in-depth climate innovation system studies in 10 countries, including China. Stefan is on the Advisory Board for Sustainia 100 since 2013, a publication highlighting 100 of the most inspiring sustainable innovation cases from across the world every year. Stefan is on the advisory board of Sweden’s Green Climate Fund (GCF) Board Membership since 2012. Stefan has been an observer of the international climate change negotiations since 2008 with a focus on mitigation, finance and tech as well as a registered observer of the latest Intergovernmental Panel on Climate Change report series 2014. Stefan’s specialities are in Climate change, Energy, Innovation systems, Business innovation, Environmental Management in business, Government regulations on climate and energy, ecodesign, environmentally sound product development and general sustainability. Stefan is based in Stockholm and provides a range of climate policy expertise and inputs to reports for WWF such as Reinventing the City – Three prerequisites for greening urban infrastructures, The Energy Report – 100% Renewable Energy World By 2050 and Financial Vehicles – Driving Private Investments in Climate Innovation. Stefan also engages in Climate Savers http://climatesavers.org, WWF multinational corporate program on climate change and on the issue of multinational corporates setting Science-Based Targets, http://sciencebasedtargets.org/. Over a six-year period, he was programme manager for Sweden’s SME business development programmes focusing on environmental sustainability as a driver for profit and innovation. He worked focusing on the Food and Drink Industry at the Environmental Management and Business Research Unit of the University of Hertfordshire, UK from 1998 to 2001 and prior to that he gained his MSc, in Industrial Engineering and Management with a specialisation on Environmental Technology from Linköping University, Sweden (1992-1998).